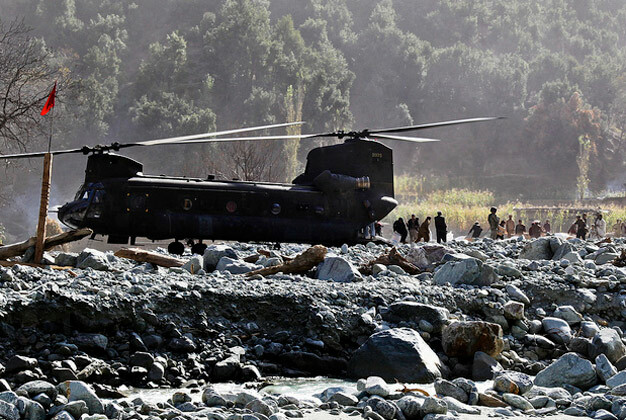 A U.S. Army CH-47 chinook helicopter from 16th Combat Aviation Brigade is delivering food and supplies for flood relief in the Khoistan Region, Pakistan on October 28, 2010. U.S. Army photo by Sgt. Jason Bushong.